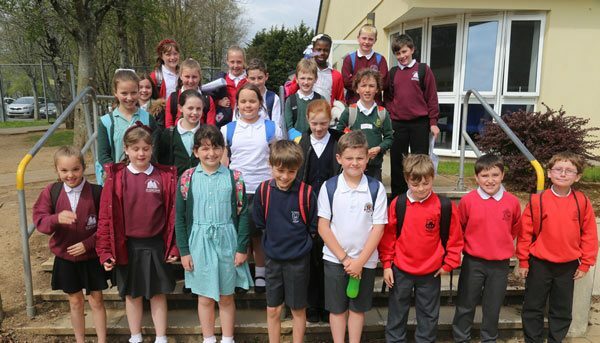 Year 5 students from across the local area visited saltash.net on 20th April for a day of political fun and engagement, named the ‘Parliament of Wise Owls’. 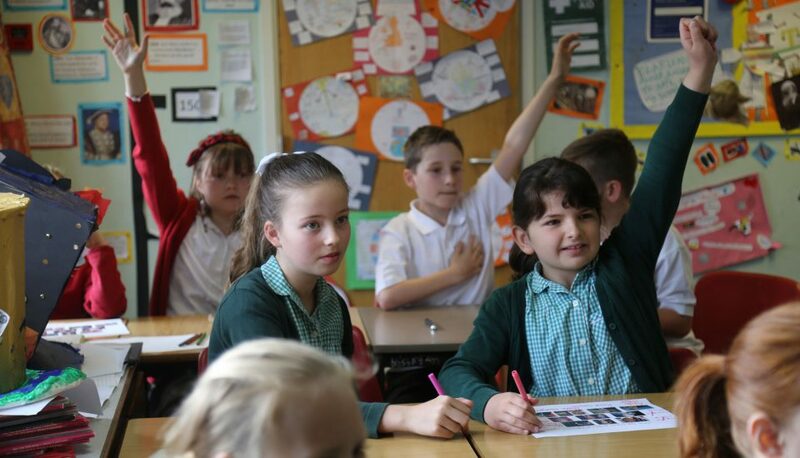 With the announcement of the upcoming general election, it seemed like the perfect time to help engage students from saltash.net’s partner primaries, helping to develop their political knowledge and understanding of the British political system. 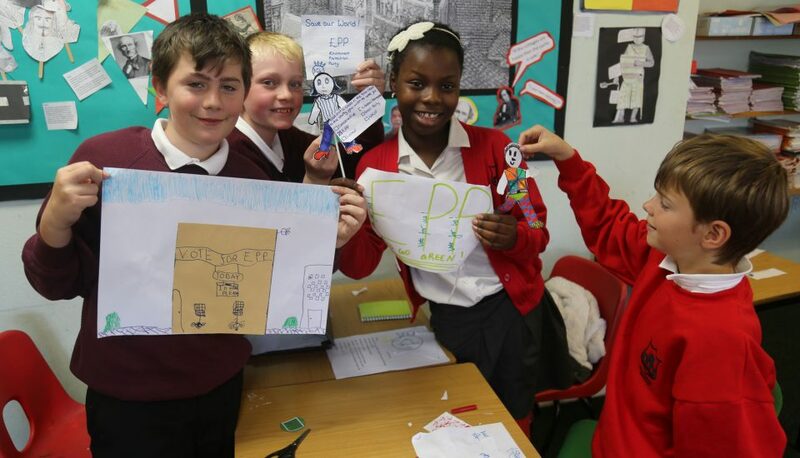 Organised by Politics Teacher and Assistant Head of Year 7, Mrs Metters, and English and History teacher Miss Halliday, students were split into groups and given the task of creating their very own political party. Everything about their political party was entirely up to the students – its name, its logo, its policies and so on. Each group had to create a name for their political party, with an accompanying logo, slogan, party broadcast and party song! Among the parties created were the Eco-Savers Party, which had environmentally conscious policies, and the Welcome Party, which called for an open and tolerant society, which welcomed refugees. 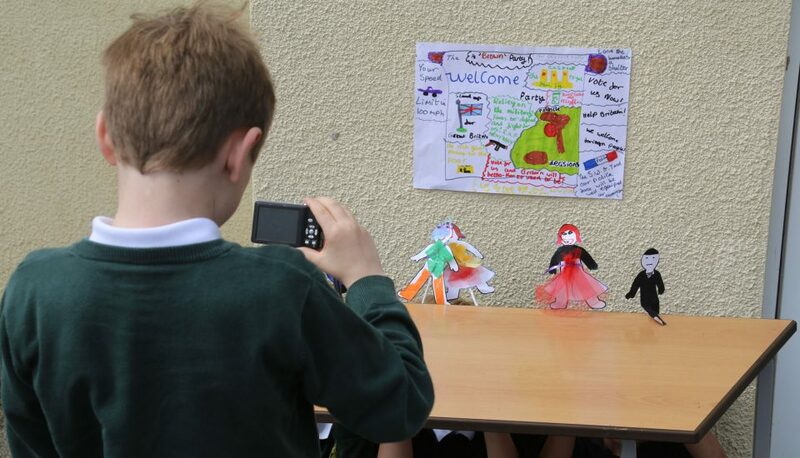 To create their party political broadcast, students were provided with paper puppets which they decorated as they saw fit, as well as being entrusted with a video camera to record their perfectly scripted ads! A vote was held at the end of the afternoon to see who had impressed most, with Mrs Metters acting as Returning Officer to ensure that the vote was fair and democratic. The Environmental Protection Party (EPP) emerged victorious, thanks to their impressive posters and strong advert. The event also encouraged student leadership, with a number of students from Years 7, 9 and 12 taking part; working with our visitors and exploring their own political ideas and understanding. Mrs Metters was delighted at the students’ attitude and commitment to the task. 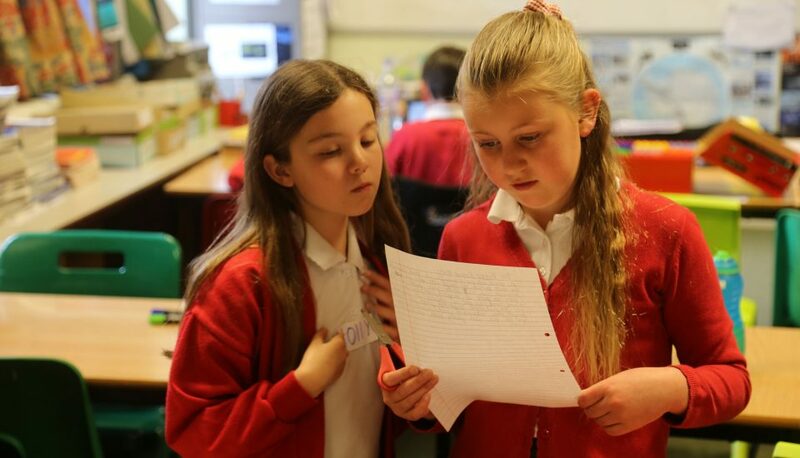 “It was fantastic to hear what thoughtful and well-considered ideas the Year 5 students spent the day coming up with. They may only be 9 or 10 years old, but they understand a large amount about the world into which they are growing and have clear ideas on how they would like their future society to be. “The day was incredibly positive, both in terms of political awareness and engagement, but also in terms of good fun! The Party Political Broadcasts and their wonderful puppet-actors were just wonderful! Well done Year 5. I think our future is safe in your hands!” she said.